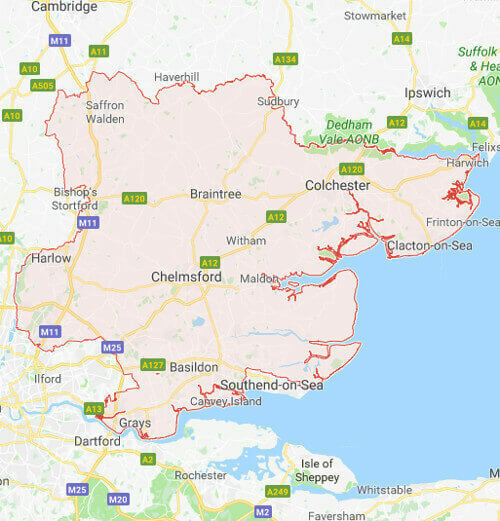 We are a local emergency plumber Essex, providing a 24/7 call out service for all your plumbing emergencies with no call out charge and quick response times. We are able to repair anything to do with plumbing, heating and gas. From a leaking pipe, boiler failure or gas leak our fully trained, experienced engineers can get the water flowing or heating working for you quickly. Our emergency plumbers Essex are available 24/7, 365 days a year. If you have a water leak, or you can see water dripping from your ceiling call us on 01375 409 735 to speak to an expert. Our experienced team of engineers are available to attend your plumbing emergency anywhere in Essex and can quickly respond to your emergency. Normally the problem can be resolved in one visit preventing any major damage being caused, all our work is fully guaranteed. Our engineers are all Gas Safe registered and able to handle any emergency involving gas safely. If you suspect a gas leak visit our Gas Leak Repair page to find out what to do. If your boiler has stopped working we can quickly identify the problem and advise you if it can be fixed or requires replacement. If a new boiler is required we are one of the leading boiler installation companies in Essex. If you have a problem with drainage our engineers can deal with any blocked drain, toilet or sink quickly and with minimum fuss. To help avoid stressful emergencies we provide safety inspections and servicing for your gas appliances. Ensuring that your boiler runs efficiently and safely, regular servicing and safety inspections can catch problems before they occur. Your local plumbing and heating company providing emergency services across Essex. Gas Safe registered and fully guaranteed. Your local emergency plumber Essex. Gas Safe registered and fully guaranteed. A family run local Essex Plumbing and Heating company providing emergency plumber Essex services. We only install the best heating and plumbing products.